I had this idea the other day when I was baking (random I know but stay with me!). Most recipes start with ‘pre-heat your oven to such and such a temperature’ don’t they while you then spend ten or twenty minutes preparing the food to go in the oven…. I read something a couple of years ago in an environmental tips book or article that said DON’T pre-heat your oven…..as it’s really not necessary for most recipes. It will also a) save you money on the electric/gas b) save the planet by using less fuel. So back to my recipe – I’m making scones with my thirteen year old daughter and we get to chatting about this. What if there was a campaign to educate people to stop pre-heating their ovens, this could surely save a hell of a lot of fuel and money on bills in the long-term. And there could be other environmental hints and tips too as part of this. Anyway it’s just an idea at this stage and would need investigating. It would be good to hear from some chef’s about the pre-heating idea. 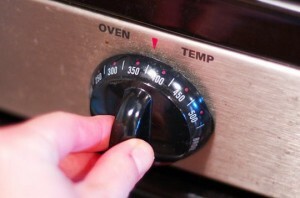 Treehugger.com says it’s a myth, an old wives tale to pre-heat your oven. The Energy Community takes my idea further saying switch off your oven 5 minutes before the recipe says too thus saving even more of that precious energy – genius! So there are clearly websites out there with some great tips and advice us greenies love to read BUT how do we get these messages through to everyone? What do you think – I’d love to hear your comments, please add them to the blog. Thanks Alan. I think we can probably learn a lot from older generations who had great ideas about ways to save money. Nowadays this will also help save the planet, by lessening the use of fossil fuels and slowing down global warming. Thanks for this, as I never know how long it actually takes for the oven to heat up. However, it does mean that food will have 2-3 minutes less to cook than the recipe says. But that doesn’t matter, because all appliances vary, so for some it will be perfect, but others will be a tiny bit undercooked. Never mind, I’m going to not worry so much about pre-heating, thanks to your post. Previous PostPrevious Climate Change – how do we make a difference? Next PostNext One day more….